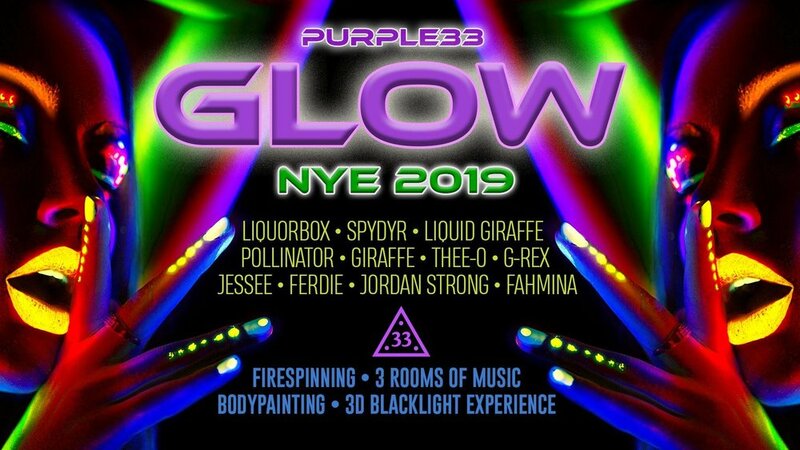 Bring love, good vibes and have fun this New Years Eve as we GLOW into 2019 together. Please wear something that lights up or glows in blacklights to make this an amazing interactive experience for all. Awesome DJ's, two dance floors and the Rabbit Hole with silent disco will keep you going all night! There will be special performances, fire spinning, glow burlesque and body painting. It's going to be off the chains so get here early and stay late cause...IT'S ON TILL THE BREAK O DAWN! !